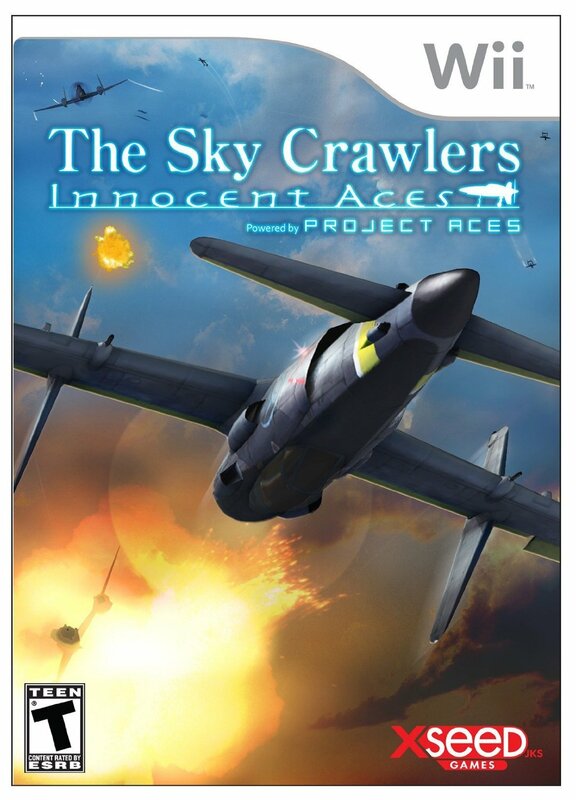 The Sky Crawlers – Innocent Aces Review: Happy Hunting! I personally have little experience when it comes to the hundreds of hard-core-as-hell plane combat games. I grew up during a time many years after the era where vertical shooters and shmups like Gun Nac and The Guardian Legend were as common to video games as platformers. I’ve had my rare outings: be they a quick run through an Area 88 arcade cabinet at a local con, to the semi-realistic pilot simulators once showcased at the East Dallas Science Place (imagine a science museum, but bigger), to early memories of either Star Wars X-Wing or Tie Fighter my dad once owned, with a full-motion pilot joystick and everything, that we could never seem to run on our family desktop. But what about any of the Star Fox games you may ask? Let the record state that the only Star Fox games I like are the ones where flight combat is shared with either the puzzles and adventuring of Star Fox Adventures or the time Nintendo tried to make a Halo-esk console multiplayer FPS of Star Fox Assault. Thankfully, my odd pedigree with dog-fitting didn’t stop me from checking out The Sky Crawlers: Innocent Aces on the Wii. The Sky Crawlers: Innocent Aces was made by Access Games, the same developer who credits include the equally odd-ball pair Deadly Premonitions and this year’s Drakengard 3. 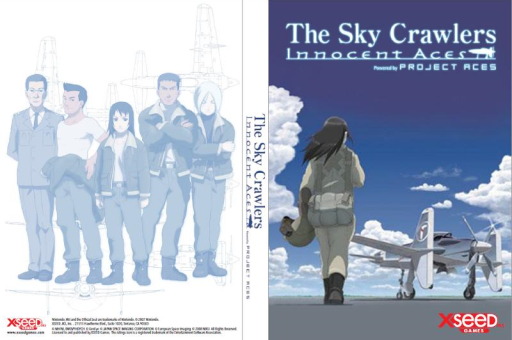 I have some familiarity with the Skycrawlers’ name from being a fan of director Mamoru Oshii’s film adaption of Hiroshi Mori’s novels. I immediately put Innocent Aces in the same tie-in boat as the two Eureka Seven PS2 games, The New Wave and The New Vision. A nice form of reassurance that Innocent Aces’ might have been trying to shoot higher than the average Anime tie-in game came when I read that Oshii and Mori were personally involved in Innocent Aces’ production. This way, Innocent Aces can be seen as a hybrid of Mori’s source material and Oshii’s experience adapting Mori’s source material. Looking at the reverse cover like this makes me wonder. Does being a Veteran pilot just make you tan or am I missing something? I want to start this article by doing something out of the ordinary for me, which is discussing current video game news. When news of the 3DS remake of the 3rd Generation Pokemon games Ruby and Sapphire dropped, the first thing my friends and I got excited about was what the secret bases would look like running off Pokemon X and Y’s visuals. A refresher for those of you reading who skipped those Hoenn adventures of which I feel are the second weakest of the Pokemon Gens (after Gen Four if we are only counting non-remakes, because Heart Gold and Soul Silver were fantastic). Hoenn’s secret bases were located in trees, bushes, and sides of mountains where a player with a Pokémon who knew the move Secret Power could access large hidden rooms. 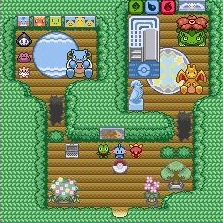 The only real draw the secret bases had were that they could be decorated with various furnishing like cushions and desks made of leaves to trinkets like Pokémon plush and ornaments like breakable doors, tents, and slides. 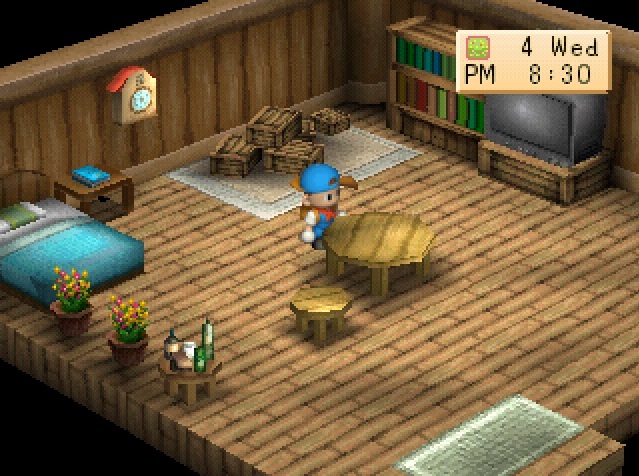 This has me thinking about how, in general, getting a house or base to interior decorate is one of my favorite added parts in video games (up there with character customization like outfits and hair styles). You can tell that this is a fan mod image because it was impossible to walk across those ditches. Let alone transport all that plush. 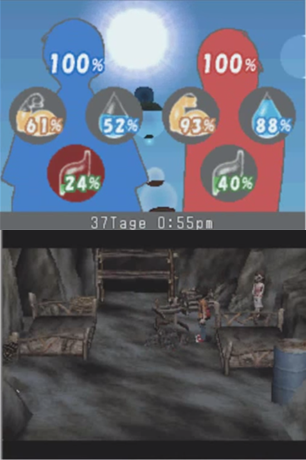 Some games make the player’s base or house an integral part of game progression and the Lost In Blue games on the DS are the first to come to mind. The Lost In Blue games were spiritual successors to the Game Boy Color series Survival Kids, where the player controls a young kid who ends up as a castaway on a deserted tropical island. The first Lost In Blue was an early DS game for me back around 2006, a bygone time where you could actually find a reasonable copy of Trace Memory. While the original first Survival Kids fostered you with late 90’s card-battle anime protagonists Ken and Mery and their mascot ready pet monkey, the first Lost In Blue assigns you the serious young man Keith and the near-sighted quiet young woman Skye. The goal, learn to live off the land and build a way off the island. Every day has you controlling Keith in finding food and water for the pair, as Skye stays in the cave and preps food. The cave base as a core concept is great, as building new beds and better fireplaces not only spiffs up the joint, but also either makes the daily progress easier or helps restore Keith and Skye’s stamina and overall well-being. You even get to decorate the place with a nifty barrel so that you can keep water inside so these two young youth don’t die of thirst. I know I rap poetic about Harvest Moon a little too much on this site (less than the average super fans of the series, but more than the average sane person), but no Harvest Moon game ties game progression as heavily to how big your farm house is as much as Harvest Moon: Back to Nature on the Play Station. Ah the life of a bachelor. A time where you don’t care about the random liquor bottles by the entrance or if you have enough shelves for your miscellaneous boxes.